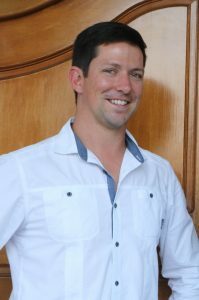 Daniel has been involved with MESA in Southern Africa since its early days and has served on the regional MESA Chapter Special Interest Group executive committee for a number of years, He also held the position of MESA SA Vice Chairman in the past (2013-2014). Daniel is passionate about integrating people, process and technology to achieve business successes and meaningful returns, and in recent years has made it his special focus to promote the application of the above to further Manufacturing Operations Excellence. Daniel has over 30 years of experience spanning a wide range of business and ICT fields and has worked for a number of leading companies in both management, project and consulting roles in diverse areas including business development and strategy, IT architecture and research, solution development and deployment, customer relationship management and operations management. Daniel is a people’s person and believes in getting results through working with motivated teams to achieve goals. Daniel holds academic qualifications in science, psychology and business management. Daniel serves as a director on the board of a number of companies including that of MESA Africa. 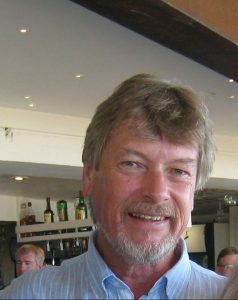 Gerhard was a member of the local (regional) chapter of MESA in South Africa since its inception around eight years ago. He was involved as part of the expansion committee since the first year. 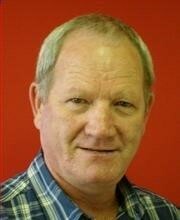 Gerhard was elected as Vice Chairman for 2009/2010 and Chairman from 2011 to 2015 for the MESA SA Special Interest Group. In 2016 the MESA Africa executive committee decided to establish a Non Profit Company (NPC) and he was elected as Vice Chairman and appointed Director for the MESA Africa NPC. 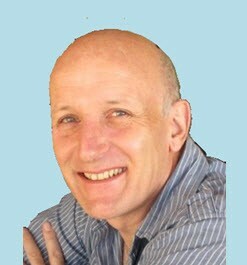 Gerhard also serves on the Board of Directors for MESA EMEA. 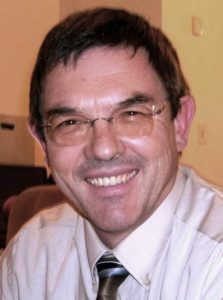 Gerhard developed two of the nine course modules (including test questions & answers) and has provided MESA Accredited training in South Africa, India, Australia, USA and the Middle East. Gerhard believes that a properly designed and implemented Manufacturing Operations Management System can add tremendous business value to any manufacturer. MOM, when done right, will improve operational effectiveness and efficiency and will assist in increased business value for companies from discreet manufacturing to continuous processing. As Divisional manager for Bytes Universal Systems, a Software integration and services company with more than 600 employees, he is responsible for the Process Management and Control (PMC) business unit. This business unit focus on MOM, and has done so for the past 20 years. He is responsible for strategy and direction, product and solution development and operations management. 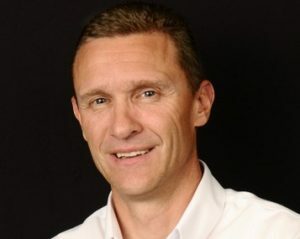 Gerhard manages relationships with technology suppliers such as GE, Siemens, Schneider, Rockwell, Parsec, OSI Soft and others, as well as with current and potential clients. 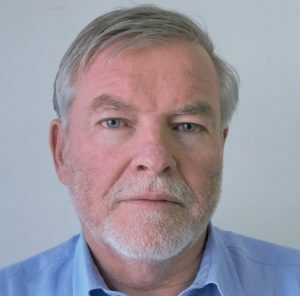 His chosen field of focus is MES/MOM and Gerhard has published various articles about MES and MOM systems in trade publications, a chapter in “The MOM Chronicles: ISA-95 Best Practices Book 3.0” and a book “Practical E-Manufacturing and Supply Chain Management” through Newnes Press in 2004. Gerhard co-authored three MESA White Papers on the concept and management of the Time-in-State Metric and reviewed a number of other MESA White Papers. Antoine is a proactive, adaptable and conscientious engineer with the ability to view all challenges as opportunities. He approaches opportunities with an analytical and questioning mindset and works relentlessly to find suitable solutions which he delivers to high professional standards. He holds a bachelor’s degree in Industrial Engineering and a Master’s degree in Engineering Management, both which he obtained First Class from the University of Pretoria. Post studies, he started his career in consulting where he quickly was awarded the responsibility and accountability for the successful management and delivery of large projects for key clients. Currently, he is a specialist in his field with responsibilities ranging across the entire value chain of the mining and processing sector. He has worked in various industries such as mining, manufacturing, banking and human resources with a successful and proven track record in these industries. He is no stranger to the MESA world with active attendance to the meetings and conferences for the past five years. In 2016, he won the best speaker award at the Annual Conference and represented MESA at the European ARC Conference in 2017. Nick Stead is a Processs Metallurgist from Sheffield in the UK with over 30 years work experience in the metals industry. Specialising as production metallurgist at British Steel, Mining & Chemical Products, Johnson Matthey and British Alcan. A member of the team that developed computer controlled centrifugal steel casting technology at Midland Rollmakers in Crewe. 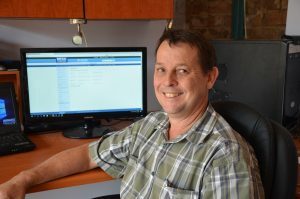 Nick came to South Africa in 1989 and started work as the production manager at Guestro Alloy Wheels on the East Rand, since then Nick has worked for Tiger Wheels, Symmetry Software and Labware. 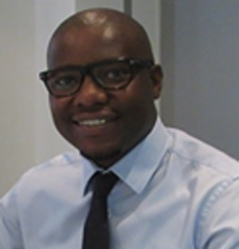 In 2010 Nick started work at OSIsoft South Africa in a Sales & Marketing role. Nick is passionate about people using technology to make life better. A self confessed evangelist engineer wanting to ensure the next generation catch a glimpse of the amazing careers in engineering. Nick has recently taken up a role on the MESA committee as an “evange-neer” sharing his knowledge and the use of smart technology in the process industry and engineering department in academia. Piet has more than 35 years’ experience in the IT industry and the last 19 thereof in the MES (MOM) arena. He has a solid comprehension of the total spectrum of MES implementations, with his comfort zone Petrochemical installations – and especially when many and diverse MES technologies are involved. He worked in an “ordinary” IT environment for 22 years before grabbing an opportunity to install a MES solution for a large Petrochemical manufacturer. Since then he was, and still is involved in implementing MES Projects and Solutions spanning most of the challenges or demands found in the MES environment i.e. erecting new plants, large projects (+$5m), complex projects (across technologies, across businesses with vast and remote sites), etc. He really understands the art of maintaining services / systems of which a large number are mission critical with extremely stringent Service Level Agreements. Chris has been involved in manufacturing and logistics systems for 40 years, deciding early on that he liked the idea of applying IT technology to manufacturing and operations and wanted to work in this area. During this time Chris has been involved in ERP implementations, running logistics departments, writing warehouse systems, running warehouses and selling ERP systems. He has always had an interest in using IT to improve scheduling of manufacturing operations. Chris has been involved in MESA for a number of years and wishes to get more companies exposed to the concepts promoted by MESA. Johan started his career as Electrical Engineer in the Petrochemical industry. His enthusiasm took him from Electrical Engineer to Instrumentation Manager, IT Manager (which included the MES function), Compliance Manager, Enterprise Program Management Office Manager, Project Manager within Finance for the implementation of Sarbanes Oxley requirements and ended up as MES Project Manager. He has been appointed Director of two Non Profit Organizations where he spends his time assisting people and companies in the industry to come to terms with current and future changes in legislation. He is working with the authorities to ensure that future changes in legislation do not impact negatively on people within this industry. He has an intense love for his Creator who healed him when the specialists gave him three months to live. 20+ years experience in the Information Technology field specializing in Manufacturing Operations Management (MOM) Currently responsible for developing the Siemens MES/MOM business portfolio within Southern Africa. Serving as active MESA Africa committee member since 2012 and is passionate about MES/MOM, creating awareness and helping companies achieve operational excellence. Gawie completed his B.Sc. (Electric/Electronic) degree from the University of Pretoria in 1988. Held various positions in the mining and manufacturing sectors on both the client and the supplier side. During his whole career he is directly involved in the full life cycle of systems covering Automation, Process Control, MES and Information systems. His previous positions includes titles such as Manager of Specialist and Strategic Services, Business Unit Executive and many others in-between. 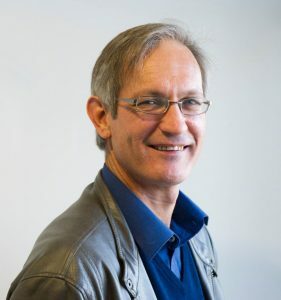 Gawie is currently seen as a manager, a resource and a strategist of the department he leads with dozens of successful projects and initiatives under his belt. Wonderware business in South Africa since 2011. Richard is a well-seasoned software development professional with more than 17 years of experience designing and creating cutting edge application solutions. He has extensive knowledge in Manufacturing Execution Systems, ERP, Automation and MIS systems. His knowledge spawns across different technologies and IT application products. He currently holds a Master’s Degree in Information management system, Certified as a six sigma black belt, Project management professional (PMP @PMI), Agile framework, Certificate of competence in MES/MOM, Business analysis professional and ITIL V3 Foundation. His expertise includes leading projects and technical teams; providing development and support (SDLC) in various systems including SAP (ECC, BI/BW, PI, EP, SLM & BO), Manufacturing Execution Systems (KEOPS MES, APICS, SIMATIC IT, and AMPLA), Laboratory Information Management Systems (Labware LIMS, UniLAB) and control systems (SCADA Applications). In all these systems, he has proven his capabilities in installing, operation, maintenance, upgrades and support whilst meeting end-user requirements and exceeding the company expectations. Cobus is an Entrepreneur/Businessman/Mechanical Engineer. He enjoys helping people to grow, develop and reach their full potential. He is passionate about Technology. He creates environments where people can grow and develop and enjoys problem solving both in Engineering & Business. He y holds an Honors degree in Mechanical Engineering from the University of Pretoria and a Masters in Business Leadership from UNISA. His work experience covers the fields of Experimental Stress Analysis, Vibration Analysis, Modal Testing, Finite Element Analysis and Fracture and Fatigue Analyses in his early engineering career and is currently involved in Strategic Consulting, Business Process Improvement, Innovation Management as well as high level Product Lifecycle Management consultation and implementation. 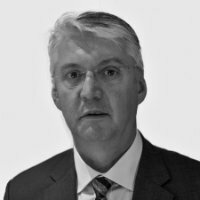 He currently holds the position of Managing Director with ESTEQ PLM and CEO of the ESTEQ Group.